Image Business Solutions is one of Southeastern Michigan's leading suppliers of office automation products including digital copiers and printers, faxes, network printers, imaging, scanning and document management systems. 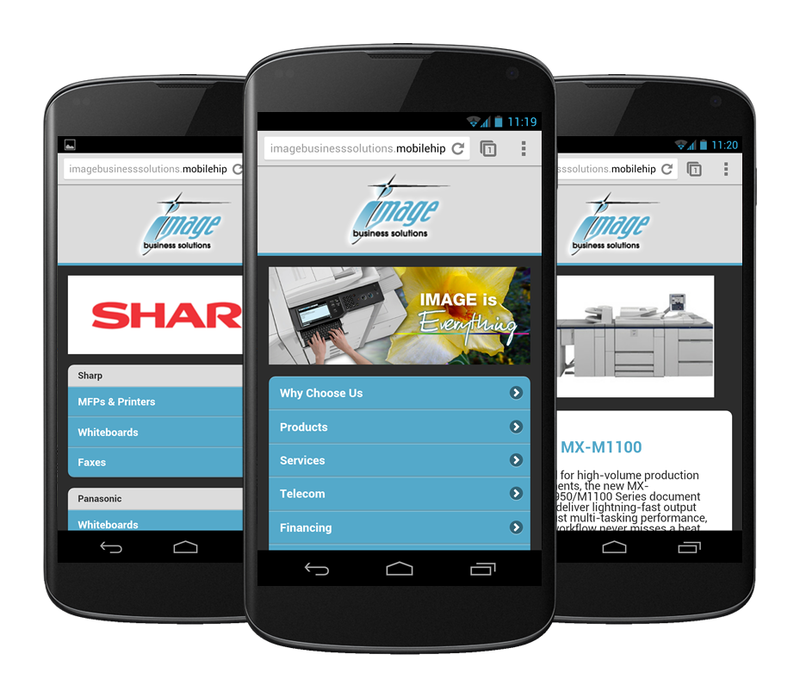 Image Business Solutions features a mobile-friendly navigation that allows you to quickly and easily browse entire product lines, view images, and read detailed product descriptions. Do you have a question about which product is right for you, or do you need support with your existing equipment? Help is literally at your fingertips. Tap one of the Touch-To-Call buttons located at the bottom of each page to call Image Business Solutions. Making your customers alternate between scrolls and zooms on mobile devices can get pretty frustrating. It's time to make your website mobile friendly.